There comes a time in some seniors‘ lives when they realize that they no longer have the physical or mental capacities to handle their own legal, medical or financial matters. This is especially true if your senior parent is struggling with dementia or some other form of cognitive decline. Based on your parent’s wishes, an agent can handle almost all of your mother’s financial or legal concerns, or make decisions about one or several issues in particular. For example, if your parent wanted to deem you with “health care power of attorney” rights, you would only be responsible for your mother’s medical decisions moving forward. However, your mother can also write a power of attorney that can leave you solely responsible for her health, financial and property details. This is why it is very important for seniors and their caregivers to have their lawyer present for events like this so that everything is laid out and explained in a simple fashion from the beginning. Financial issues or gifts of money as well as financial limits for said monetary issues. Who is usually the agent in a ‘power of attorney’? Any adult over the age of 18 who looks out for the well-being of the principal can be deemed an agent. This can include an adult child, spouse, caregiver, other relative or responsible and trusted friend. Keep in mind that this decision is very important for principals, as a power of attorney is not monitored or regulated by the judicial court system. The language that your mother uses in the document should also be very specific, depending on the matters and clauses that she is handing over to the agent. Having a doctor’s statement attached to the document stating that your mother is not of sound mind to make such financial and legal decisions. Having a lawyer review the document so that he or she can also attest to your mother’s cognitive ability. Having multiple witnesses present during the signing of the document. Having the signing of the document videotaped, then keeping the video with the document to use as evidence of any potential coercion. If for any reason your mother decides that she no longer trusts or becomes dissatisfied with her decision to make a loved one her agent, she can revoke the document at any time. Your mother must put this decision in writing, and if any new power of attorney is created, the termination of the former power of attorney(s) must be included during the drafting process. 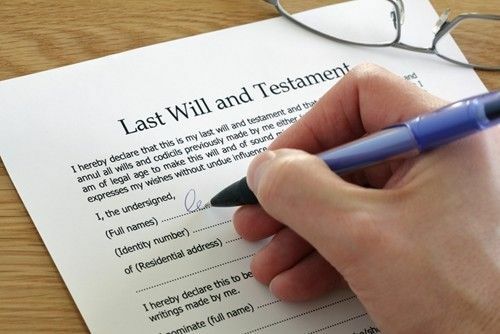 Because many of these decisions are timely and important, it is in your mother’s best interest to have a new power of attorney already drafted once she decides to end the old power of attorney. Again, having a lawyer present can help your mother determine if she is of sound mind and can help protect the documents to the best of their ability. Writing and designating a power of attorney is a very important decision that you and your mother may make to secure her financial future. For her well-being as well as yours, be sure to have a lawyer present and outline everything that might affect her property or assets down the line so that she gets the best quality care possible.